Written on 15th September 2017. As National Hispanic Heritage Month begins amid a raging debate on race, opportunity and diversity, ShortsTV is proud to join with members of Congress to expand the range of voices and perspectives in Hollywood’s talent pipeline. ShortsTV has long put special emphasis on bringing to our TV audiences short films by women, people of color and others who often struggle to get their work seen through traditional Hollywood outlets. We know that for many of these filmmakers, the short-film route may be their most effective, or even only, alternative. Now, the recently announced Congressional Caucus for Advancement of Studio, Talent and Film Diversity (called CAST for short) is moving ahead with efforts to encourage Hollywood to embrace a broader array of voices in the media than we typically see. We here at ShortsTV couldn’t be more delighted to support their initiative. “The motion picture industry and media have the potential to break down barriers and stereotypes,” U.S. Rep. Hank Johnson (D-Ga.) said during a Twitter chat that I joined on Aug. 11. CAST plans to pressure Hollywood to provide a more complete and accurate portrayal of our nation, an enhanced portrait that more routinely features all of us – to be accomplished in part by increasing the range of talent involved both behind and in front of the camera. Unlike mainstream Hollywood, short films have long been a place where minority, female and other underrepresented sectors of the creative community could get stories made. Such films typically have far lower financial and technical demands, making them practical options for many more creators. And the range of opportunities for such films and their creators has expanded rapidly, with more festivals, awards-season respect and distribution outlets than ever. We launched #WatchInColor, which gives everyday people the chance to urge Hollywood film and TV companies to be more inclusive in their choice of stories and creators. We’ve joined with the NAACP and Hispanic Heritage Foundation to recognize and encourage emerging filmmakers from the Black and Hispanic communities through two short-film competitions. 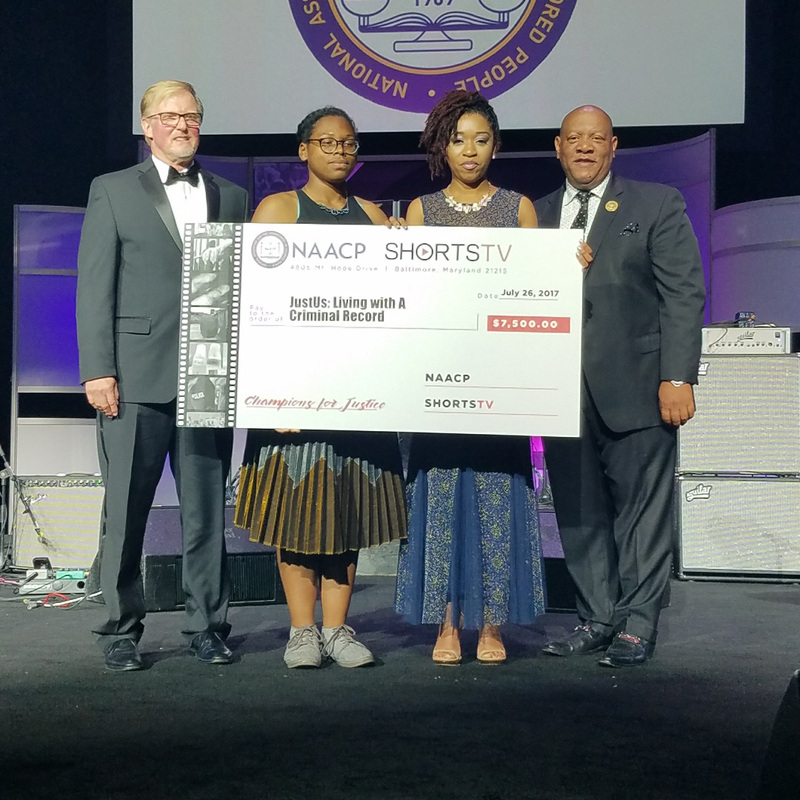 This summer, ShortsTV and the NAACP sponsored the short-film contest “Champions for Justice.” Contest winners Mecca Amoni Michele Lewis and Erin Gaddis joined U.S. Rep. Johnson and me on that Aug. 11 Twitter chat with BlackBloggersConnect. Lewis and Gaddis also received a $7,500 grant to create an extended version of their documentary, “JustUS: Living with a Criminal Record.” That documentary will appear on ShortsTV, part of a planned annual contest sponsored by the NAACP. Now on ShortsTV you’ll see that we’re focusing on National Hispanic Heritage Month, which began this week. At 8 pm ET (on our US channel) on Wednesdays throughout NHHM, we’ll spotlight Latino filmmakers and themes in a weekly programming block. We hope our outreach will serve as an example for other studios, channels and filmmakers. Much work needs to be done throughout Hollywood. But by supporting the fine work of CAST, backing festivals to find emerging filmmakers, and using our TV platform to spotlight some of the best talent out there, ShortsTV can tangibly make a difference in creating a more inclusive Hollywood. Most importantly, we can bring our audiences the rich heritage on film that is our experience everyday in America.